"La Bionda" brothers (Carmelo and Michelangelo) are more remembered for being the first most important, successful and worldwide recognized dance producers from Italy. Their early work is a blend of folk and progressive 70's rock. But slowly then, they began to take more "disco" directions, until 1977. 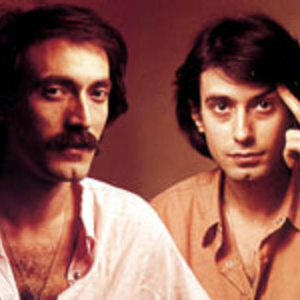 In this year they made a breakthrough with the track "Disco Bass" which became the soundtrack of the most popular sport tv transmission of the time. "Disco Bass" and other successes like "1234 Gimme some more", "She's not a Disco Lady" were made under a different pseudonym, D.
. Sound. (D.D. stands for Disco Delivery) The brothers became widely recognized as producers and they continued to work on their own tracks making an anthem, "I wanna be your lover", a song that's going to be rediscovered as Annie opened her Dj Kicks with this track. There is also a rare videoclip of this song showing somewhat like Daft Punk's Interstella 5555, but made in 1980. As producers their most successful work are jingles for famous television shows and commercials and the italodisco pop act Righeira.